Poe's Law states that it can often be almost impossible to tell the difference between a parody of an extreme belief (such as creationism) and a sincere expression of that belief. Something like that is going on with the video below. It's apparently a sincere video statement, recently posted on the British Army's YouTube account, by a high-ranking British officer, Gen Sir Mark Carleton-Smith. But as you watch it, it's hard not to get the impression that he's parodying the popular image of a British officer. Monty Python is surely to blame for this! 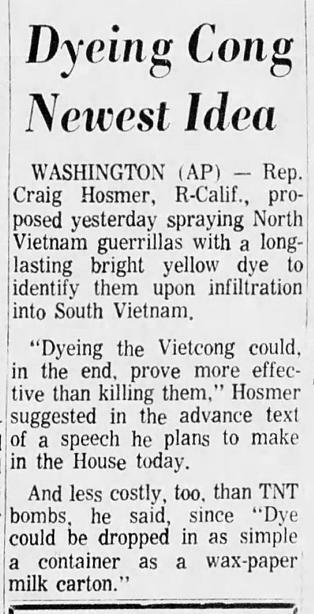 February 1966: Congressman Craig Hosmer unveiled his strange plan for victory in Vietnam. 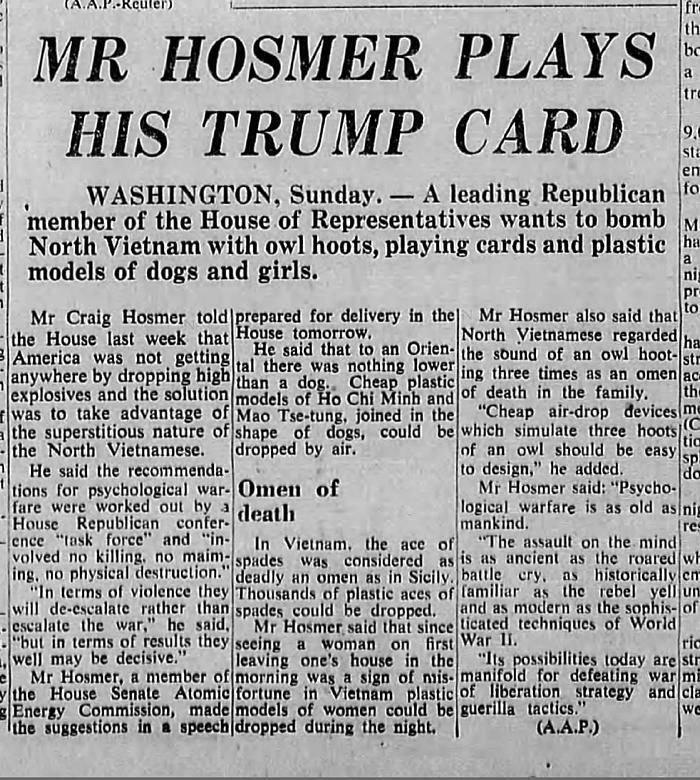 He suggested air-dropping playing cards, plastic cutouts of women and dogs, and owl hoots onto the Vietcong. 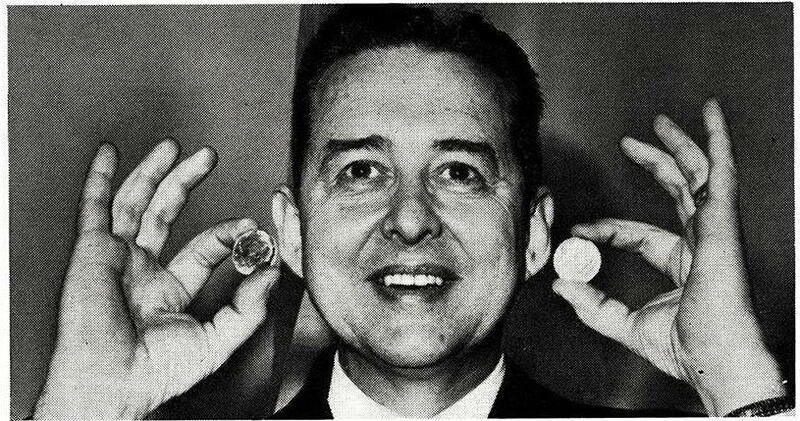 His idea was that these would trigger the superstitious nature of the Vietnamese and cause them to surrender — with no shots fired. Some of his suggestions may actually have been done. I’m not sure. 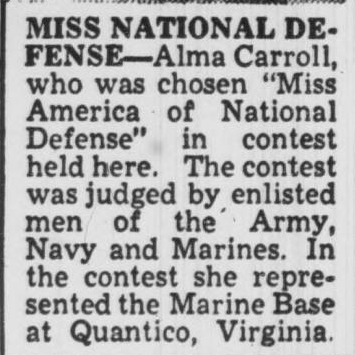 I can't find any evidence that this contest occurred in any year other than 1941. 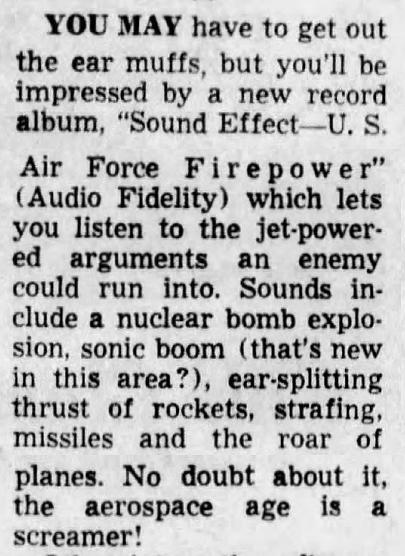 • Sonic Boom: F-104 "Starfighter"
You can peruse the full list of tracks at discogs.com. 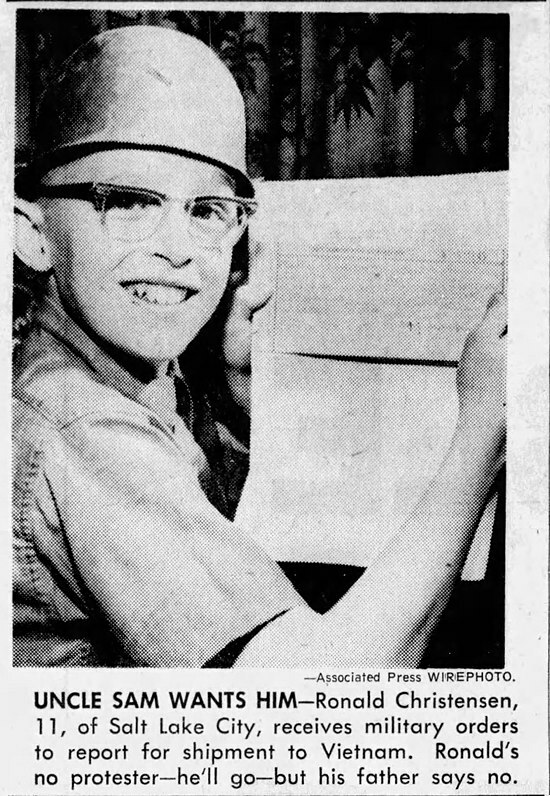 But I wonder how Ronald ever got targeted by the selective service system if he hadn't registered yet. 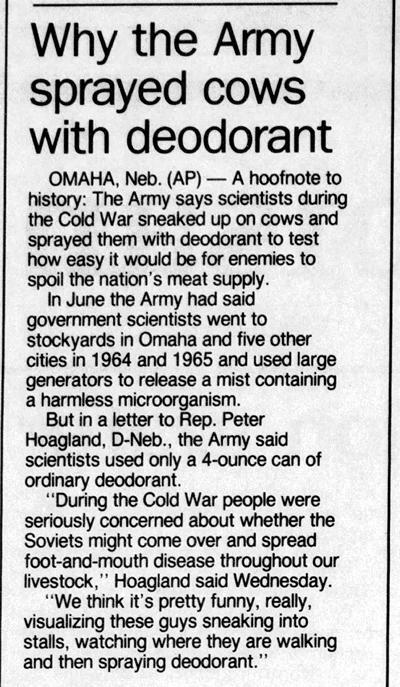 Back in the 60s, the U.S. Army employed scientists to sneak into Omaha stockyards and spray cows with deodorant. 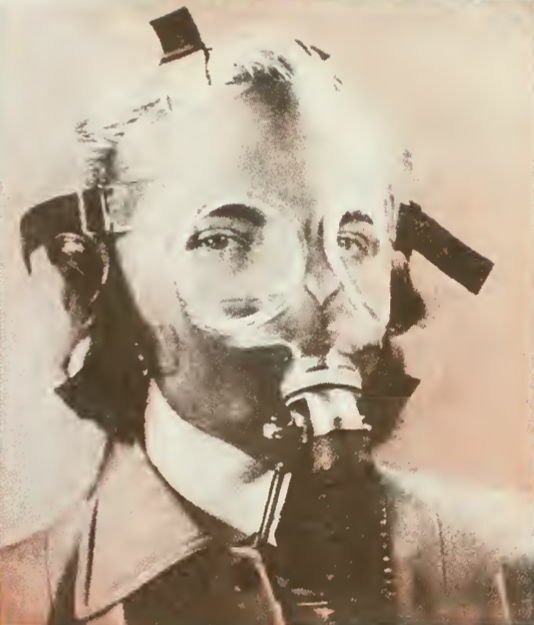 The logic behind this was to test how easy it would be for Soviet agents to spread hoof-and-mouth disease among American cows. 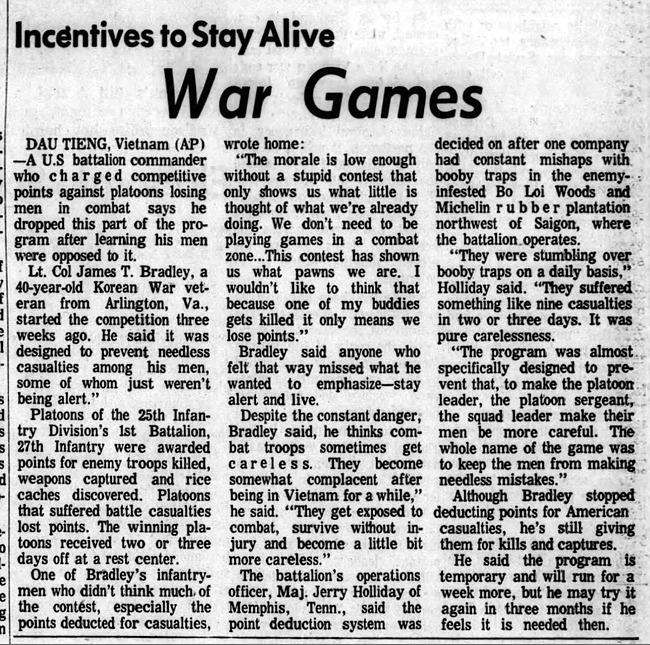 Unfortunately, I can't find any more info about this operation, which is a shame because it raises so many questions. For instance, the important part of the operation must have been to see how easily they could gain access to the stockyards. So then, why bother to deodorize the cows? Was it just to add a touch of realism? Why not spray them with paint so that they could later count the "infected" ones? 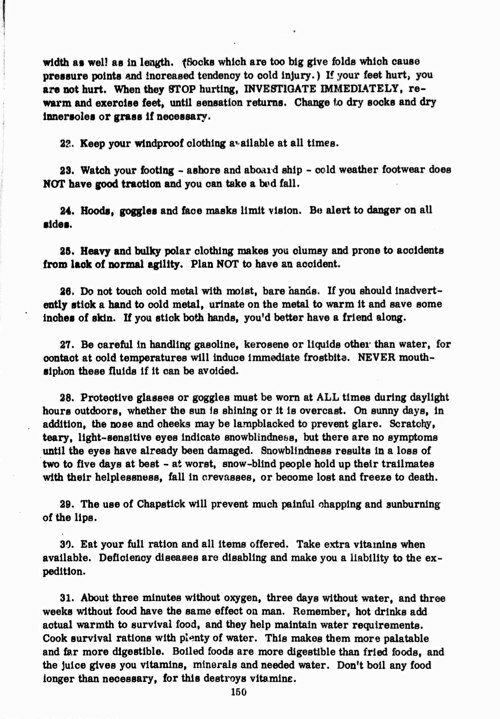 Number 26: Do not touch cold metal with moist, bare hands. If you should inadvertently stick a hand to cold metal, urinate on the metal to warm it and save some inches of skin. If you stick both hands, you'd better have a friend along. 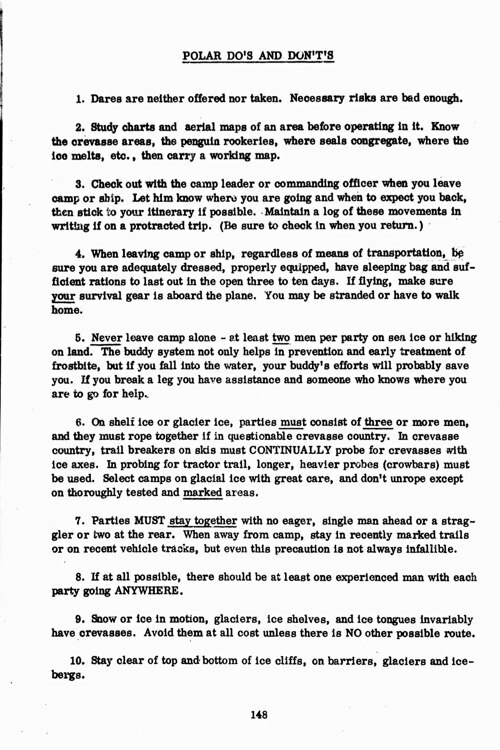 The whole list is pretty interesting and worth a read. 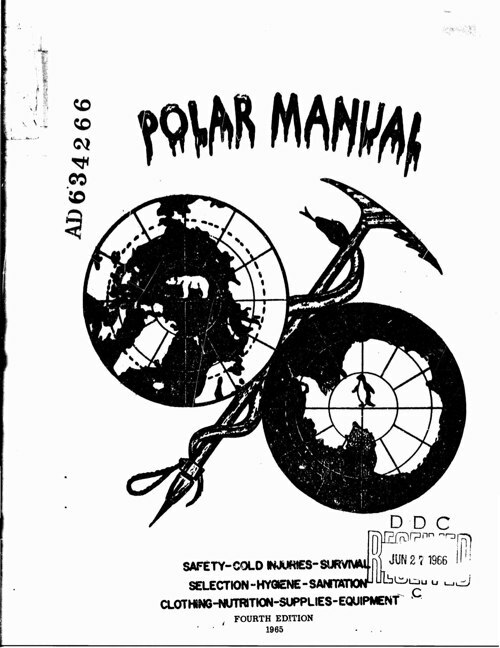 You can download the entire manual from the Defense Technical Information Center (PDF - 33 MB). 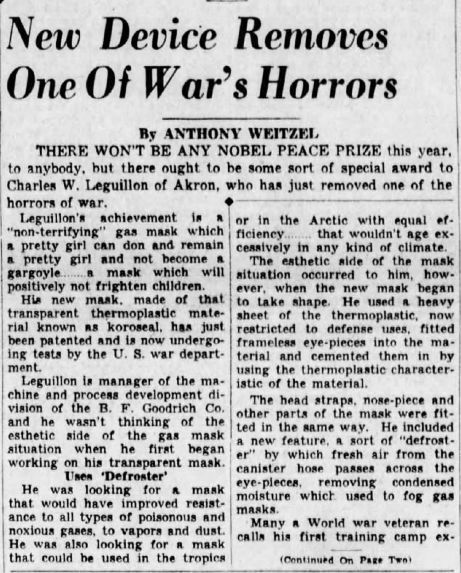 1941: Charles Leguillon, a manager at the B.F. Goodrich Co., invented a "non-terrifying gas mask" that a pretty girl could wear "and remain a pretty girl and not become a gargoyle." 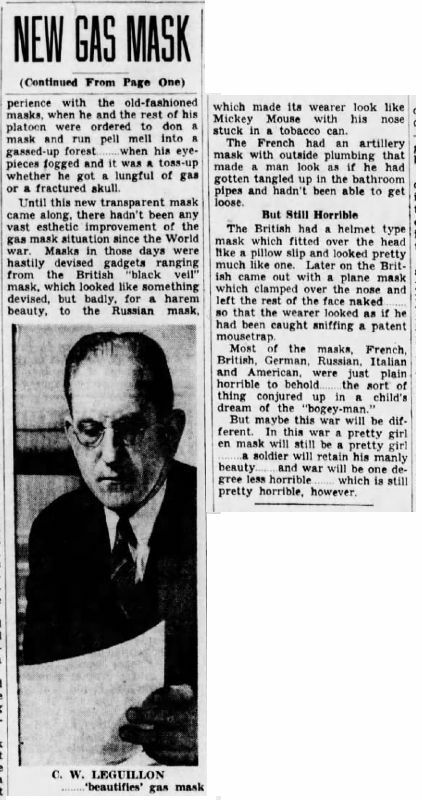 The media proclaimed that for this he deserved "female thanks," because of course all women want to continue looking their best, even during chemical warfare. 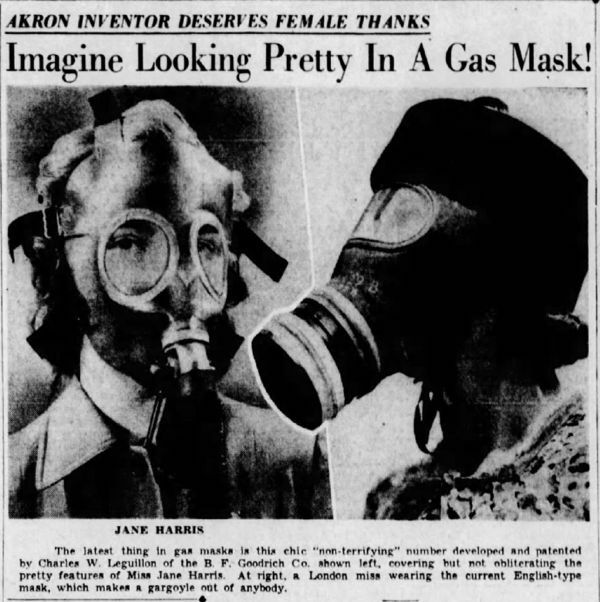 But was the new gas mask actually non-terrifying? I'll let you be the judge. More wide-ranging essay on Soviet maps here.